In concert. On film. At last. In 1975 and 1976 Paul McCartney and Wings undertook the epic "Wings over the World" tour, the largest scale tour they would ever undertake as a band. 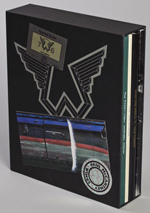 From this tour came both the legendary "Wings over America" triple live album and the concert film Rockshow. Although filmed on this tour at the enormous Kingdome in Seattle, Rockshow, originally a cut down version of the concert, was not premiered until November 1980 in New York and April 1981 in London. It was released on Betamax and later on laserdisc. Now for the first time the complete full length concert is being made available fully restored from the original 35mm film and with restored & remastered sound, including a 5.1 mix for the first time. This is Paul McCartney and Wings live on stage in a concert that is destined to live forever! After the finish of his first world tour with his band Wings, Paul McCartney rushed the concert album Wings Over America onto the market pretty quickly. He’s also release a film version of the show as well, but it took substantially longer to reach its audience. While WOA hit the shelves December 10, 1976, we had to wait almost four years for Rockshow, which didn’t arrive until November 26, 1980. What caused the delay? I have no idea. I always thought it was odd that Rockshow came so long after the end of the 1976 Wings tour, especially given how quickly the music scene moved over those four years. 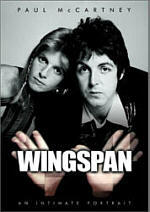 Between the releases of WOA and Rockshow, McCartney put out three new albums and Wings essentially didn’t exist; the band wouldn’t officially expire until later, but their last work together occurred during the 1979-80 tour that got cancelled after Macca’s infamous Japanese drug bust. As a major 13-year-old McCartney fan, I did think it seemed strange that it took so long for Rockshow to make it to the screens, but I was ecstatic anyway. 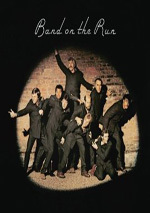 As I mentioned in my review of WOA, I loved the live material from the 1976 and I was excited to see those songs performed as well as hear them. I already discussed my impression of the 1976 tour in my Wings Over America review, so I won’t repeat that info here; click on the link in the first paragraph if you want more details about my enduring love for WOA. I should note while they include the same songs, Rockshow and WOA don’t always present the same performances – and both come from different mixes. Some people prefer the mixes on WOA, some people prefer those on Rockshow. Me? I’ll always take WOA because that’s the one I’ve listened to and adored over the last 36 years. That said, I like to hear these “alternate” mixes/versions. Given my extreme familiarity with WOA, it’s a treat to listen to something a bit different. The Rockshow versions do tend to sound a bit less polished. Over the years, many have claimed that WOA came with plenty of studio overdubs, but from what I know, that’s not the case; except for a few minor fixes, the vast majority of the album stems from actual live recordings. However, that doesn’t mean McCartney didn’t cherry-pick the best renditions or bury some goofs in the mix; unquestionably, WOA represents the source material with some smoothed-out edges. Apparently Rockshow got some overdubs in its post-production, but it still sounds rougher than WOA and thus comes across like a more accurate representation of the original concerts. It helps that we hear ad-libs/asides/between-song banter here as well; those mostly got the boot on WOA, but they appear on Rockshow and add to the live feel. In terms of visual presentation, Rockshow captures the concert well. A few gimmicks appear along the way, but not many, as the majority of the film delivers well-paced, clean editing that lets us concentrate on the concert. This is a simple, logical presentation more concerned with presenting the show than dazzling us with goofy visual techniques. 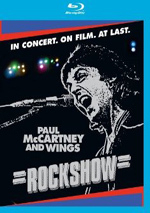 While I view Wings Over America as the greatest live album ever released, I’ll not make such extravagant claims that Rockshow brings us the best concert movie of all-time. Nonetheless, it’s a total winner, as it delivers a great artist at the peak of his performing powers. I’m overjoyed to own this in my collection. Rockshow appears in an aspect ratio of approximately 1.78:1 on this Blu-Ray Disc. No one will view this as a killer visual presentation, but it matched the source well. That’s code for “don’t expect greatness from a concert movie shot in 1976”. Sharpness varied quite a bit. At best, the movie showed nice clarity and delineation, but it could go soft on more than a few occasions. This was virtually inevitable given the shooting conditions; clearly no one added lights to facilitate filming, so the cameras captured standard stage illumination. This meant inconsistent delineation, but I found the sharpness to seem perfectly acceptable and often better. No issues with jagged edges or shimmering occurred, and I saw no edge haloes. Grain varied but remained natural; it could be heavy due to those lighting challenges, but I didn’t think this distracted. Print flaws failed to appear. In terms of colors, the lighting offered the most obvious variation in hues, and these elements were up and down. Sometimes the colors seemed pretty peppy, while on other occasions, they looked less vivid. They remained appropriate for the filming conditions and seemed pretty good most of the time. Blacks came across with reasonable depth, and low-light shots gave us fairly nice clarity, even with the grain. When I awarded a grade to Rockshow, I found it tough to decide. I went with a “B” but I’ve given lower grades to images that looked more attractive in an objective sense. That said, I thought the “B” was fully justified given the age and limitations of the source. Plus, there’s no question this footage has never looked remotely this good. I felt pleased with the image. As for the film’s DTS-HD MA 5.1 soundtrack, it required no equivocation, as it delivered a great auditory experience. The mix took advantage of the five speakers in an immersive but not gimmicky manner. Vocals remained up-front, and most of the instruments concentrated on logical locations as well, with good stereo spread across the forward channels; the elements popped up in appropriate, natural places. The surrounds added a light, supportive layer of crowd noise – never too much, never too little – and some instrumentation as well. This seemed most apparent during the acoustic portion of the show, as the guitars delivered a light sense of envelopment from the back channels. This remained unobtrusive, so don’t fear that the instruments will overwhelm from the rear speakers. Instead, they flesh out the setting in a lively manner. Audio quality was always terrific. Vocals were natural and crisp, while the instruments sounded accurate and distinctive. Highs popped with accuracy, and bass seemed warm and rich. I’ve heard these songs hundreds of times and thought they sounded terrific here; this was a textbook example of how to do a 5.1 concert remix the right way. Note that some viewers of Rockshow have commented on problems with the audio. Some feel the backing vocals are inaudible and some of the instruments are lost in the mix. Others have stated that the bass drops out periodically during the movie. I don’t know what issues befell these folks, but I can say that I didn’t encounter them. I thought backing vocals were lower in the mix than during WOA but they’re still perfectly audible, and I had no trouble detecting any of the instruments whatsoever. In particular, I read comments that Jimmy’s guitar went MIA, but that was far from the case, as I heard his playing with ease. The bass dropout issue seems a bit more complicated. Some of these comments may reflect the listener’s HT setup and not the disc itself, but enough people have encountered this concern that there may be a defective run of Blu-rays out there. All I know for sure is that none of these issues affected the audio on the disc I played and I wouldn’t forgo a purchase of Rockshow due to fear; even if there is a bad run, it shouldn’t be tough to get the defective disc replaced. Only a few extras show up here. A Very Lovely Party runs 10 minutes, six seconds and shows behind the scenes footage accompanied by Wings songs. Even with some glimpses of Ringo’s visit backstage, nothing exceptional appears here, but it’s an enjoyable reel. The fan interviews at the end aren’t all that interesting, though I do like the one fan who apparently thinks the Beatles were just McCartney and a backing band. In addition, we find Liner Notes from BBC host Paul Gambaccini. He talks about the tour and the movie, and we also get some tour photos and press materials. Gambaccini’s style tends to be a bit too terse – and he uses verb tenses that imply present when they mean past – but he adds some useful notes. Given how much I love the music and performances found during Rockshow, was there any chance I wouldn’t adore the movie? Not much, and indeed, I find a lot to embrace here. Rockshow provides great songs played well and captured with tasteful, concise visuals – what’s not to love? The Blu-ray offers acceptable picture quality that represents the source as well as excellent audio. The disc skimps on bonus materials, but a boy can’t have everything.